Hanoi (VNA) – Vietnam will process more than 25 percent of its total coffee beans by 2020 to increase the value and build brands for Vietnamese coffee products, according to the Ministry of Agriculture and Rural Development’s Processing and Market Development Authority (AgroTrade). The country targets to raise the output of roasted coffee to 50,000 tonnes, and instant coffee to 255,000 tonnes each year. Experts said that Vietnam boasts huge potential for instant coffee production as demand is increasing in markets with large young population, while 20 coffee processing plants are being constructed in the nation with a combined capacity of 75,000 tonnes of coffee annually. The Vietnam Coffee-Cocoa Association (VICOFA) said that more enterprises now invest heavily in intensive processing after seeing it important to developing coffee brands and increasing added value for their products. Besides, they have paid due attention to promotion campaigns to expand both domestic and foreign markets. Nutifood Nutrition Food JSC has risen to stardom after it launched various processed coffee products including fresh iced milk coffee in 2018. Later, the firm joined hands with the martial arts organization Vovinam World Federation and the Vietnam Cuisine Culture Association to popularise Vietnam’s coffee culture to the world. Most rececently, the firm and golf legend Greg Norman – Tourism Ambassador of Vietnam for 2018-2021 – inked a cooperation deal on March 20 to bring made-in-Vietnam coffee closer to foreign customers. Under a memorandum of understanding inked between the two sides, they will set up a joint venture named Greg Norman NutiFood based in New York. The Vietnamese firm will be in charge of researching, producing and distributing coffee products, while Norman will provide the copyright and licenses for this joint venture to use his brand, images and “The Great White Shark” logo on NutiFood’s coffee products. This joint venture will also open Greg Norman NutiCafé coffee chains in Vietnam and other Asian countries first, before expanding to the US. 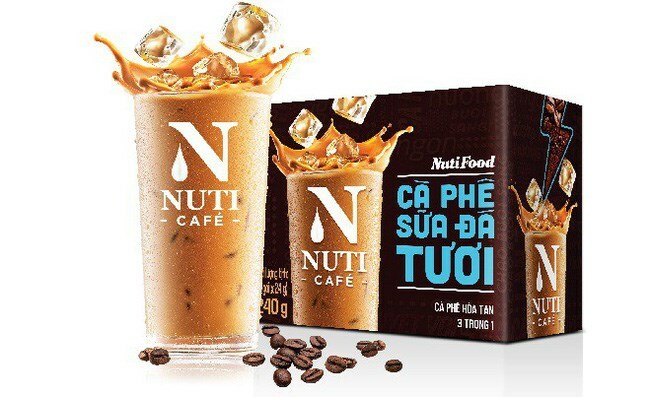 It aims to make use of NutiFood’s research and production strengths along with Norman’s international prestige to help Vietnamese coffee, especially iced milk coffee, stretch its reach to the world.